Known as the lead guitarist and keyboard of 1974AD, he is a man of many talents. His practice ranges from Eastern to Western, from classical to funk, to jazz and electronic music. Together with his brother Manzil, he created Katjazz Records, KJC’s recording studio and music label, one of the cultural hotspots in the country where national and international artists meet and students can learn audio engineering. 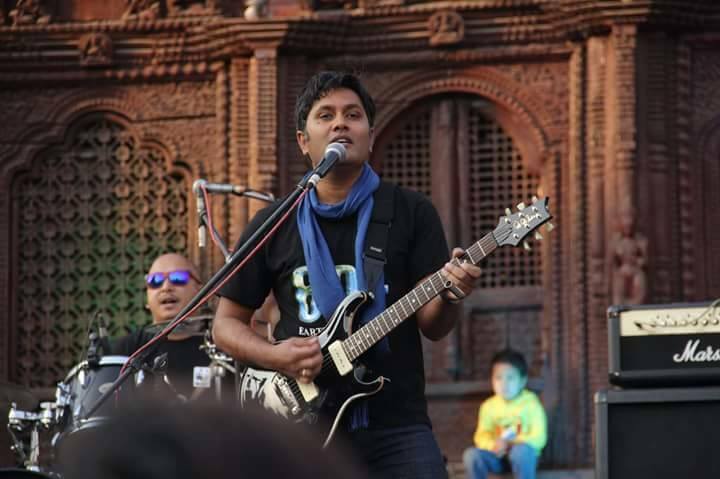 Manoj has performed all over the world and collaborated with talented artists such as Richard Hardy (Dave Mattews Band), Carol King, Sabin Rai or Adrian Pradhan, among others.